Hi everyone! I am researching my Curo ancestors who were in New Brunswick, Maine and Minnesota. I was curious if anyone found a connection to the Cureux dit St. Germaine's who were also in Aroostook? On the census the Cureux name shows up as Squirrel so could throw people off the trail. lol My Curo's are an Edward Curo who married Mary Jane Russell. I am descended from their daughter Emma A. Curo who married Robert Russell. There is much circumstantial evidence that Edward was of Scottish descent, a son of John Curo and Martha McMurray who married in Gloucester County, New Brunswick in 1829. They were then residents of Beresford, on Chaleur Bay. Martha and several children were living in Durham in 1851, the census saying that her "Husband left." Among these children were John, whose enlistment papers confirm that he was born at "Bay Shalor," and James who lived in Aroostook County, Maine, later in Minnesota, and died in Washington. Their daughter Ellen also died in Washington, and daughter Elizabeth in Minnesota. Martha died in Maine in 1875. 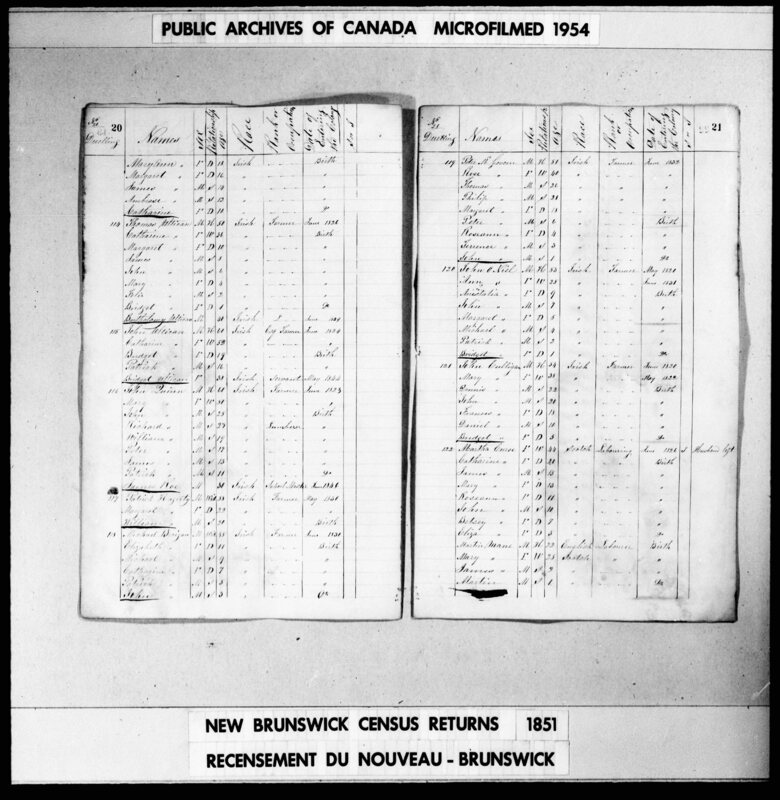 Edward's own enlistment papers say he was born in Durham, New Brunswick. He was living in Durham in 1852, when he married Mary Jane. Edward was not living with Martha and children in 1851, but there is no other Curo family in the area to which he could have belonged. He lived for a time in Patten, just a few miles from where Martha was later buried. He named one of his children Martha, and at least two of his siblings also moved from New Brunswick to Maine to Minnesota.